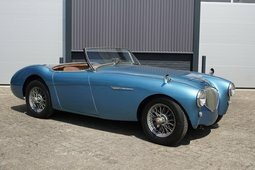 With just 50 units produced, this Healey represents one of the rarest production Healeys ever made, on par with the ‘100S’ of which this car – a ‘100/6S’ – shares its unique Dunlop disc brakes. In producing the ‘100S’ Healey were required to place an order of 100 units, with only 50 of which being used. 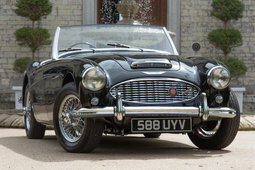 The remaining 50 sets of these special performance brakes – a cutting edge feature in their day – were then fitted to 50 100/6 cars modified at the Healey Works in Warwick where the cars were then marketed and sold almost exclusively through Donald Healey’s personal dealership as special cars for an increased price as well as for competition homologation for the 100/6. 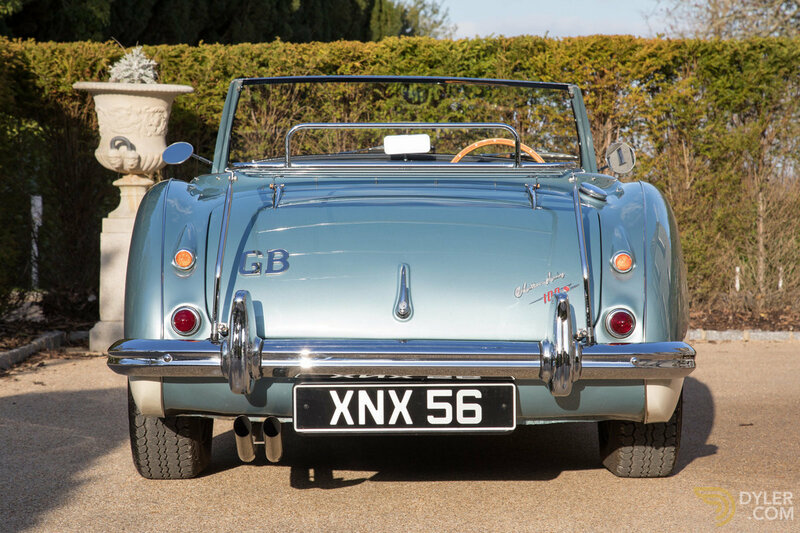 As such this car retains its original Warwickshire registration as provided by Donald Healey Motor Co. 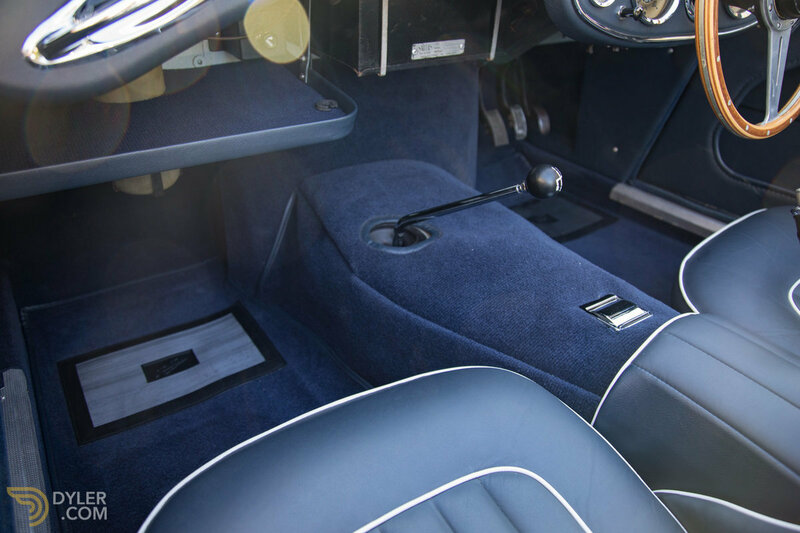 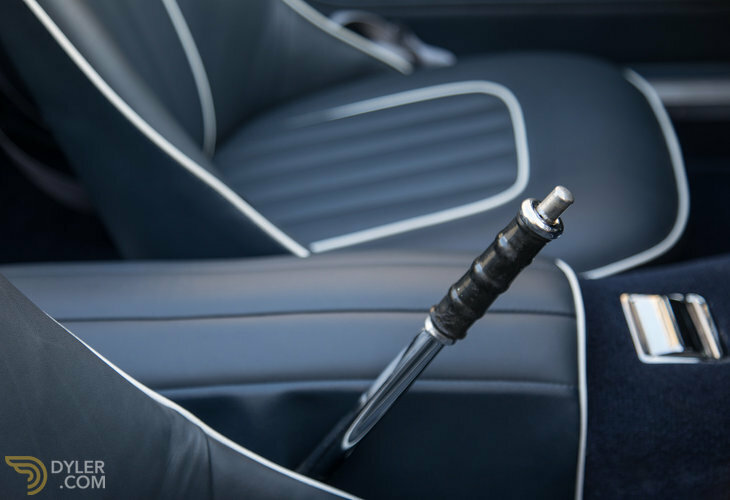 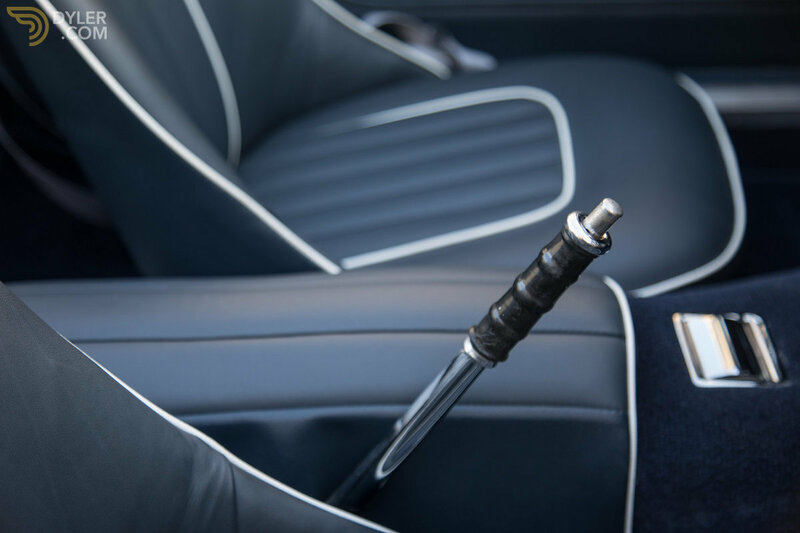 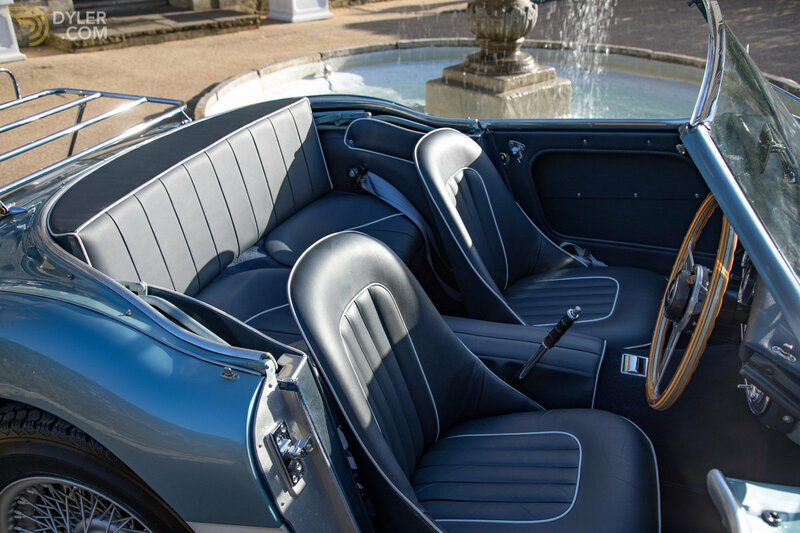 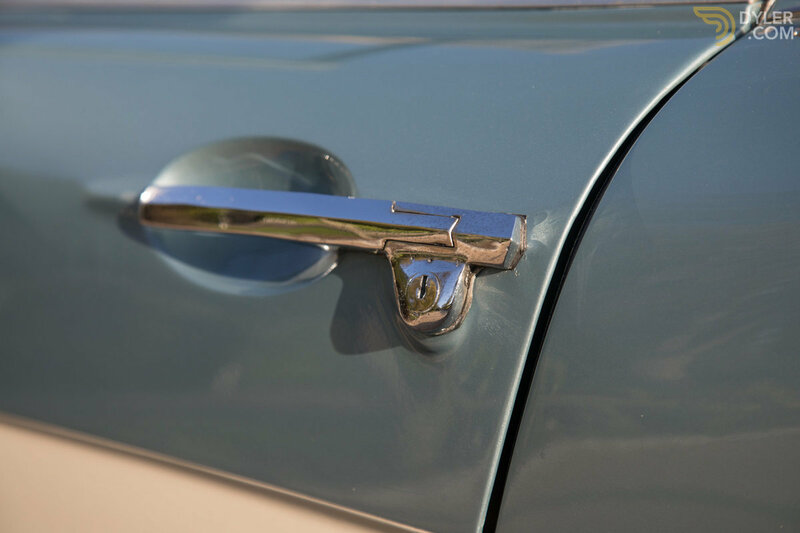 The car is in its original colour combination of Healey Blue Metallic with Blue interior trim. 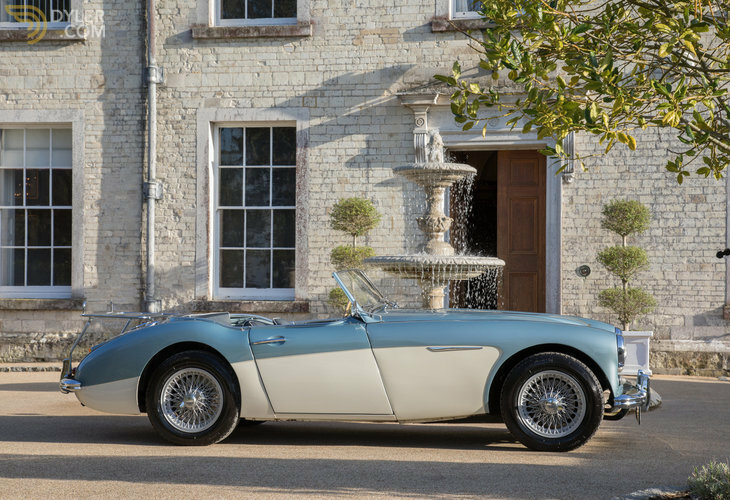 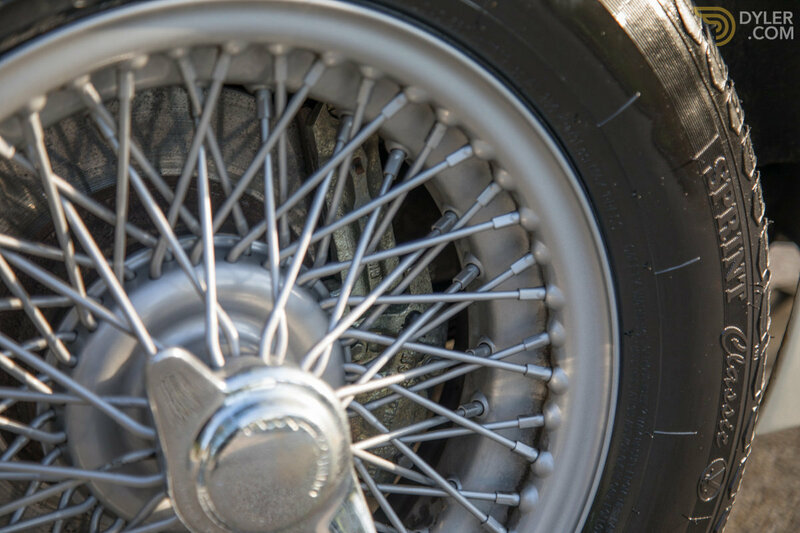 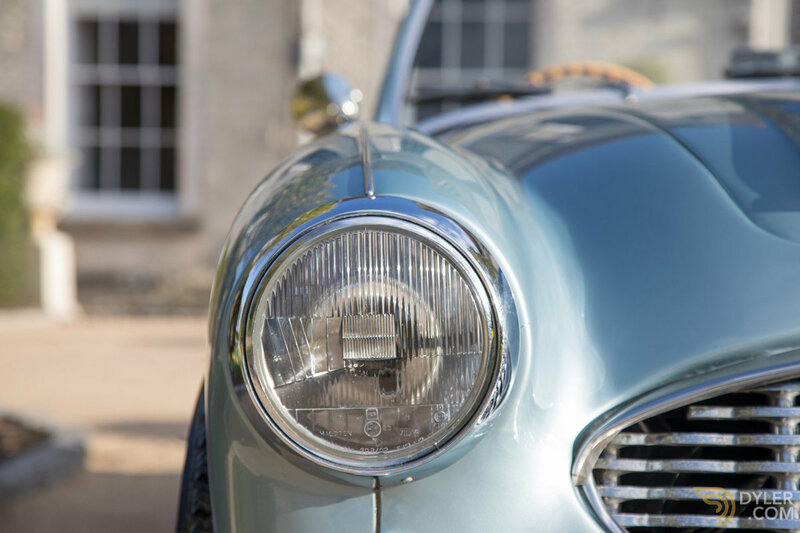 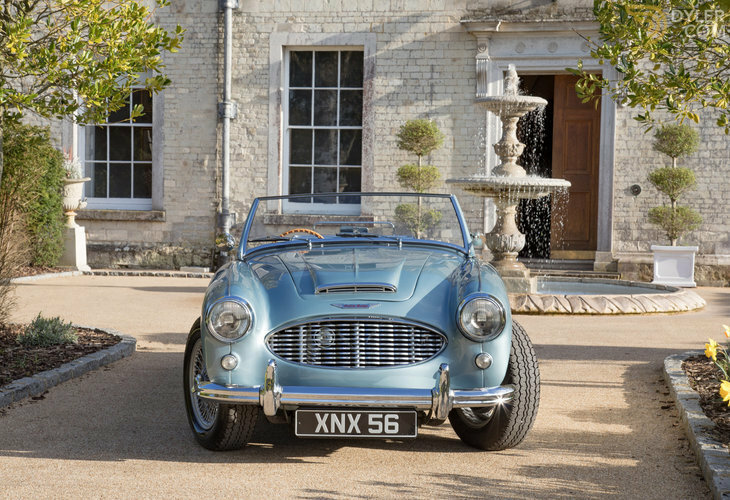 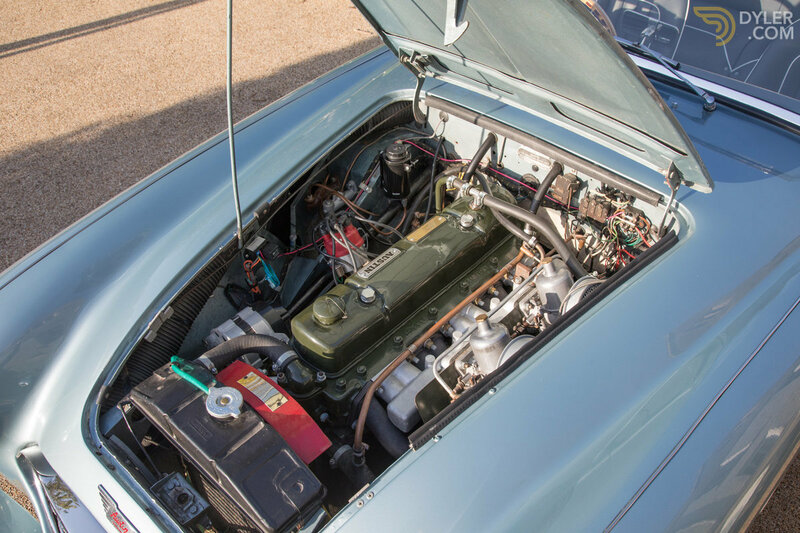 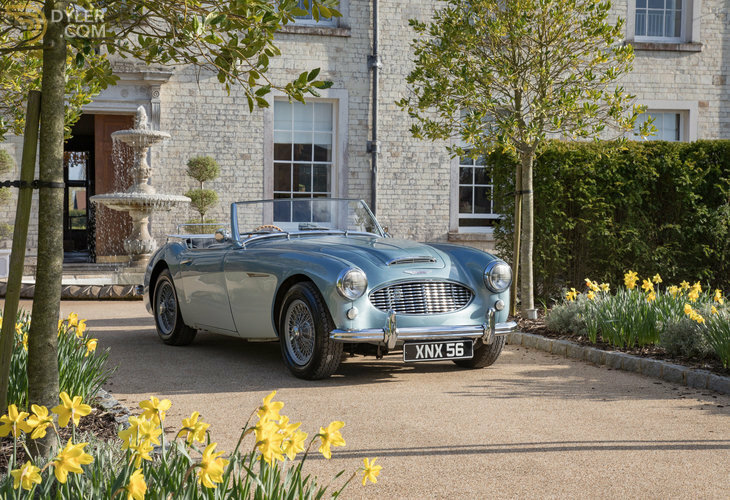 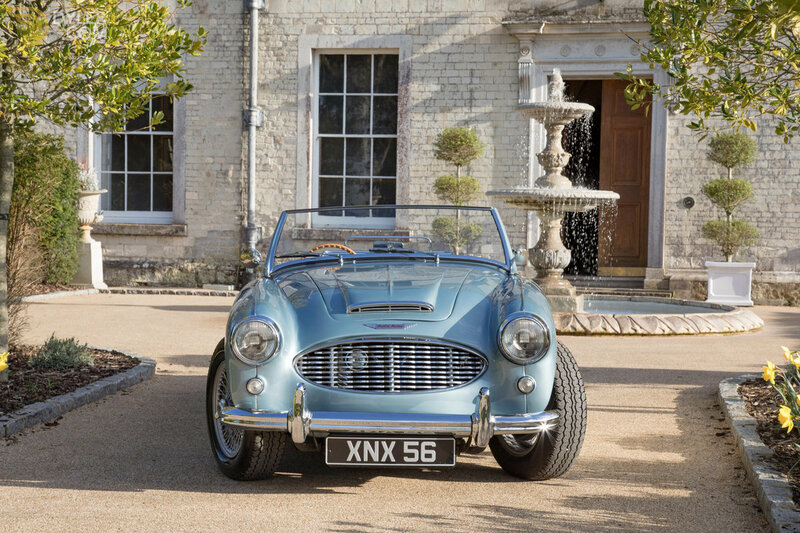 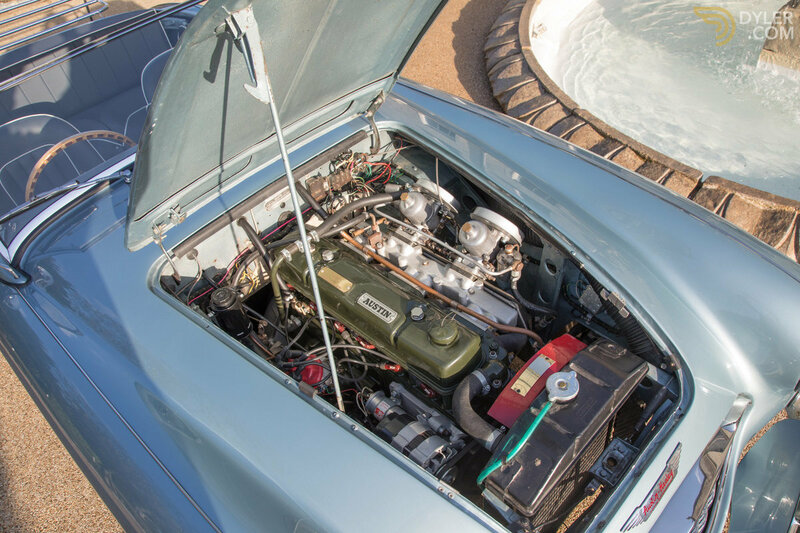 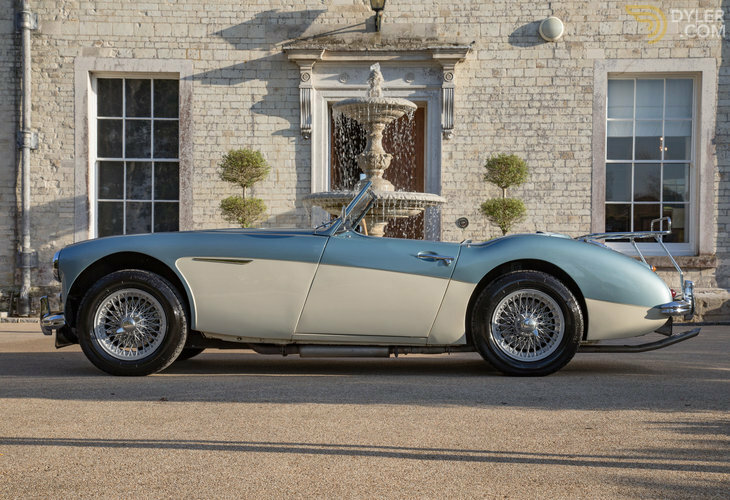 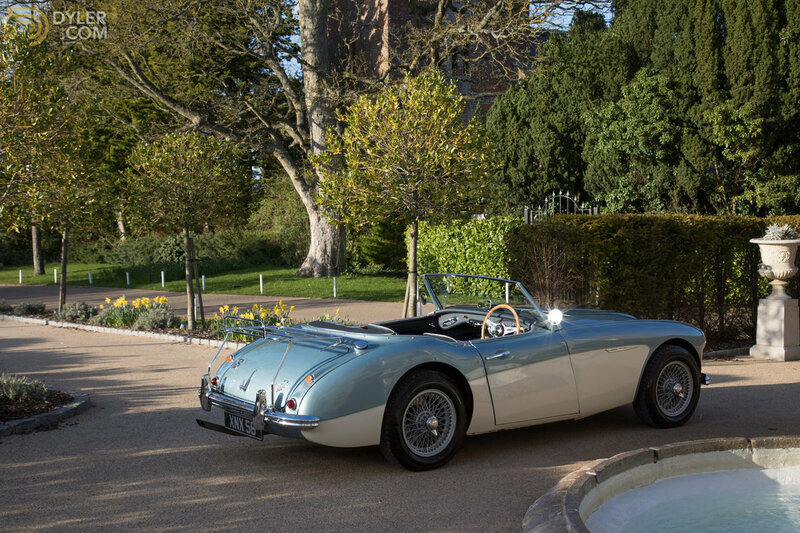 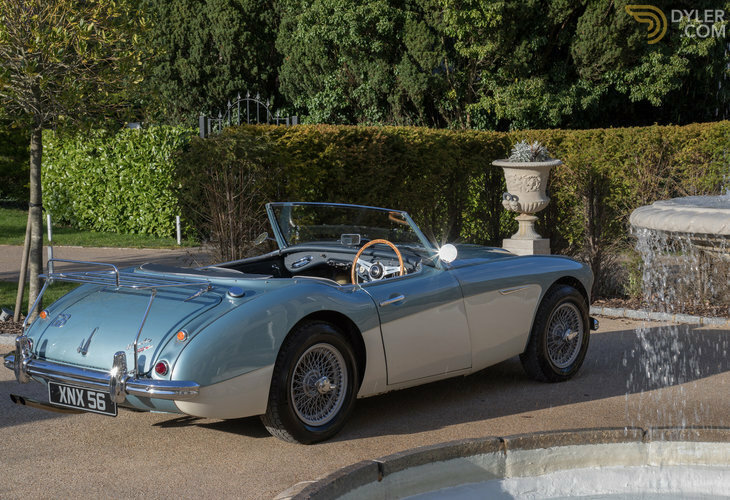 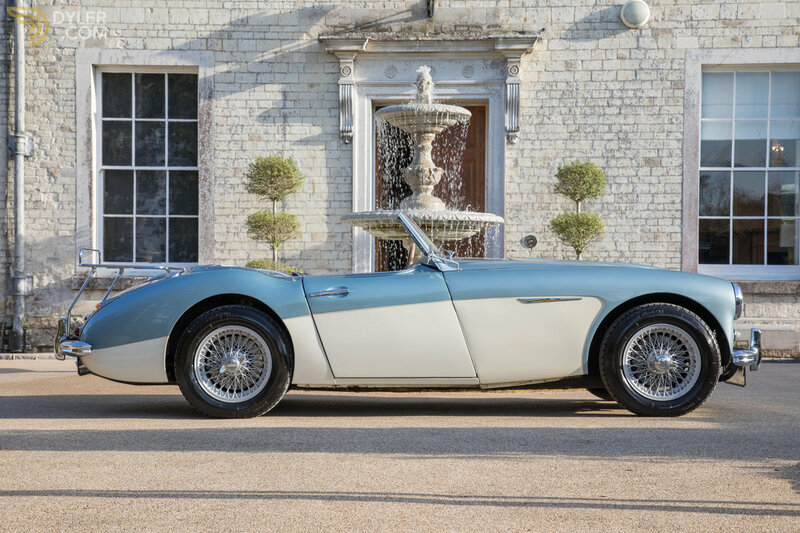 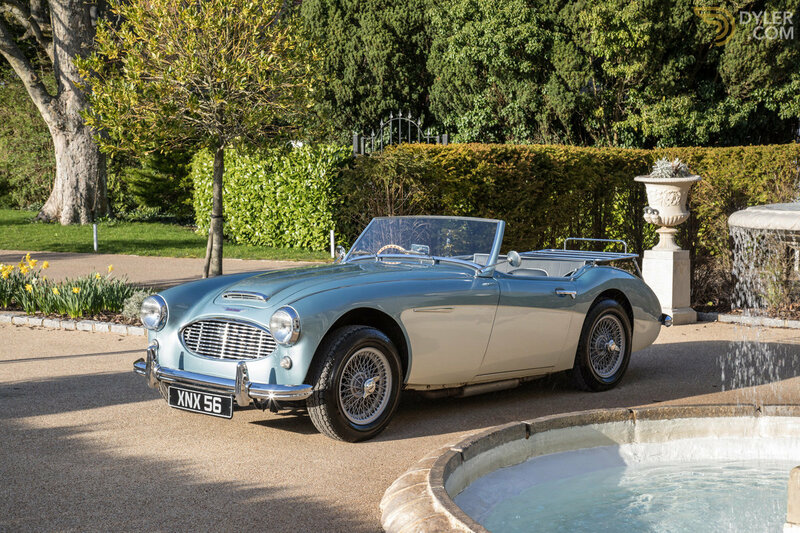 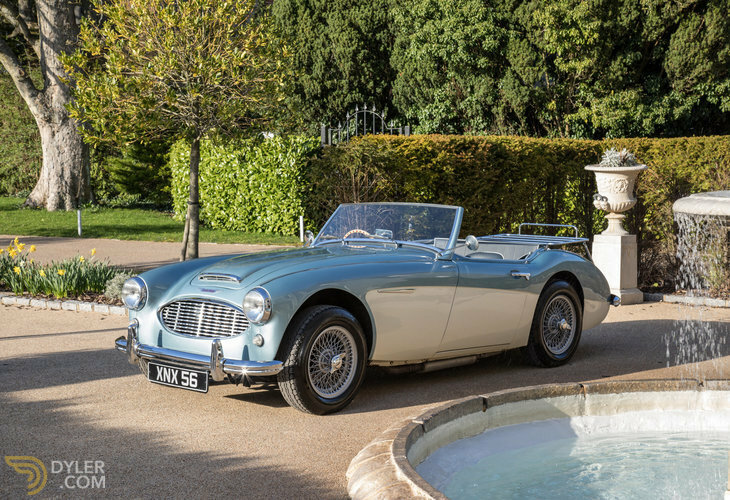 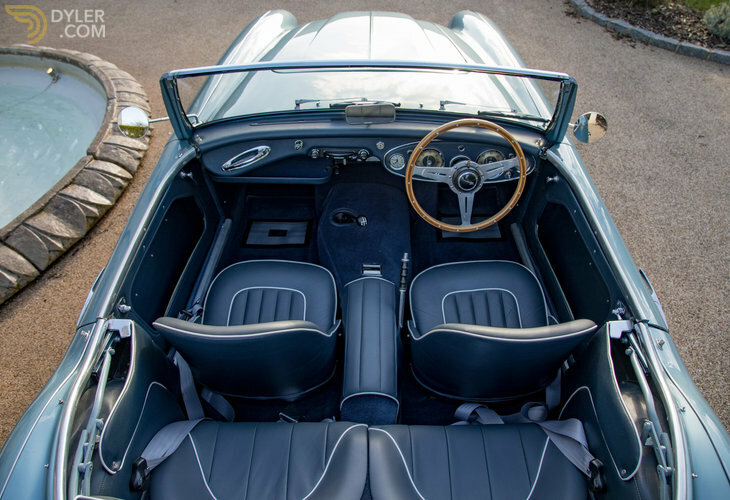 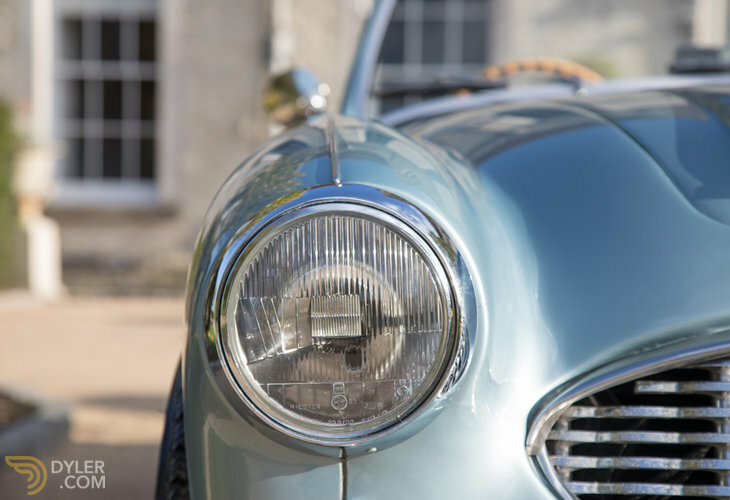 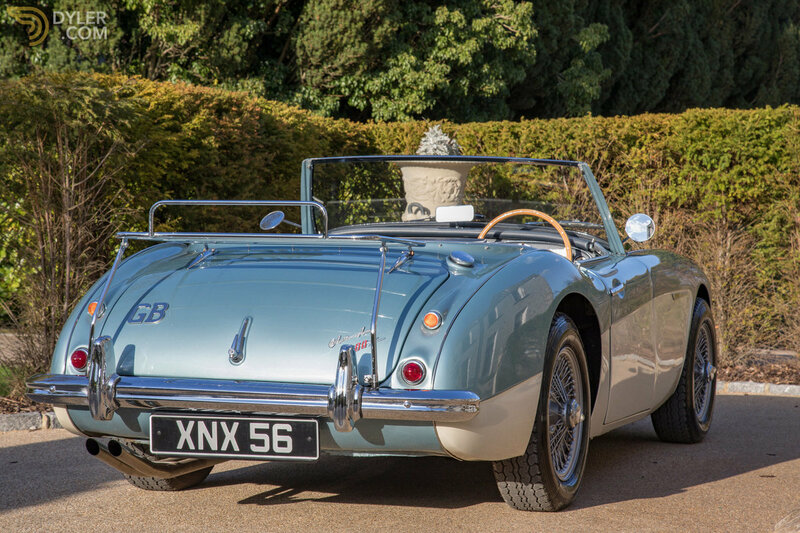 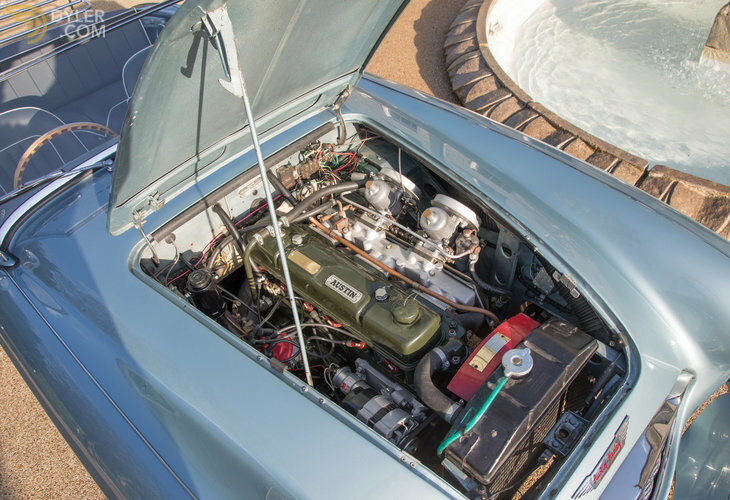 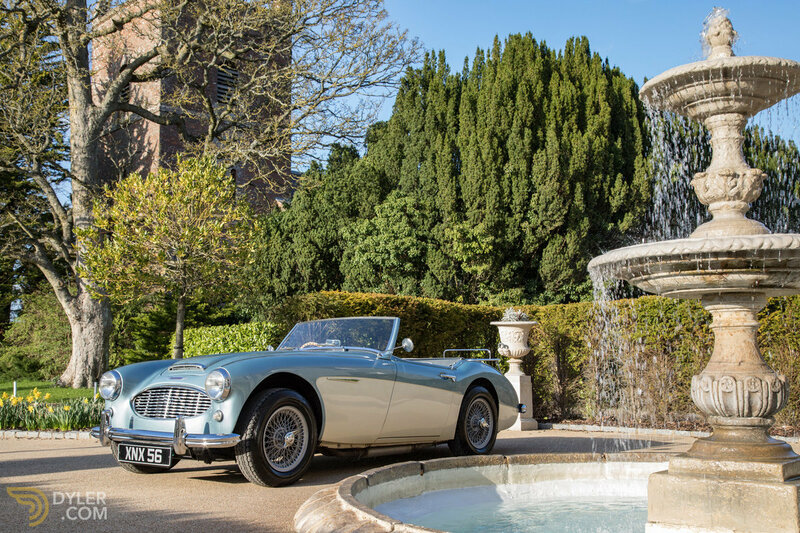 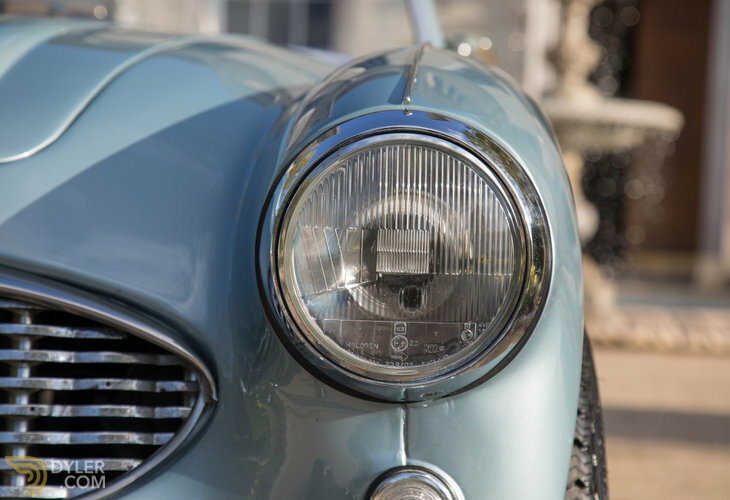 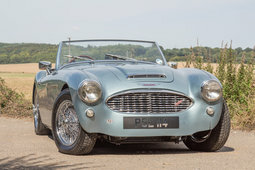 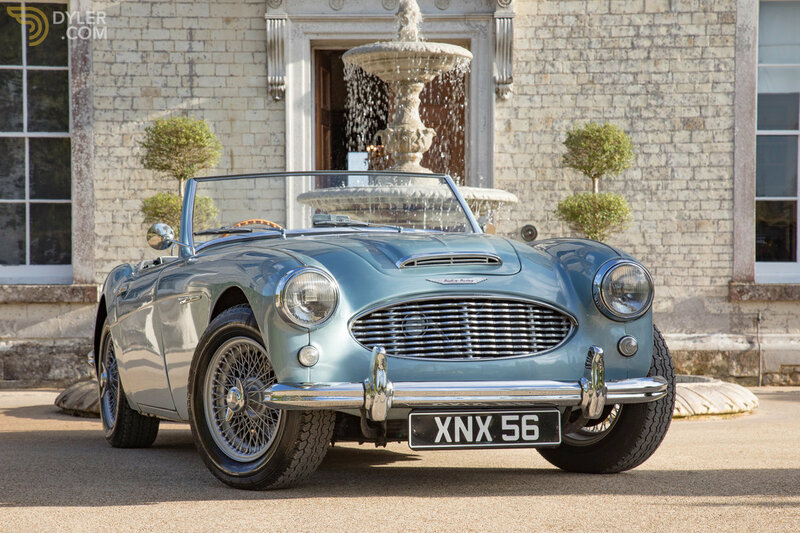 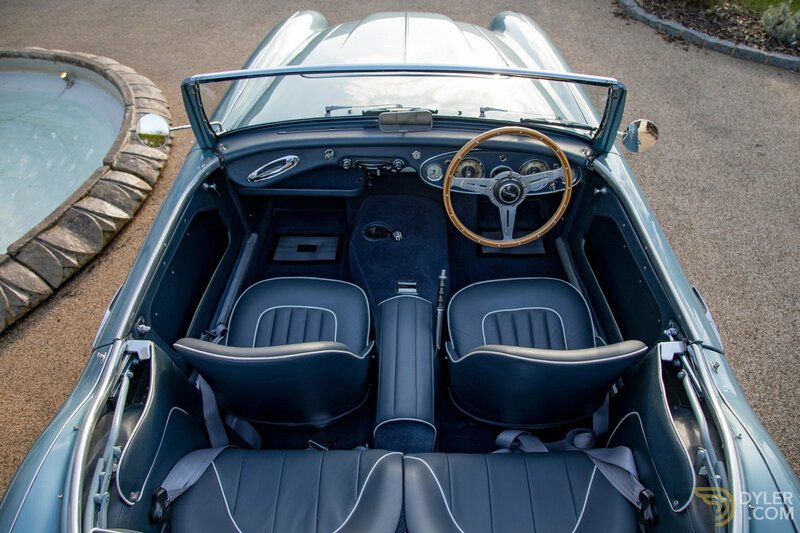 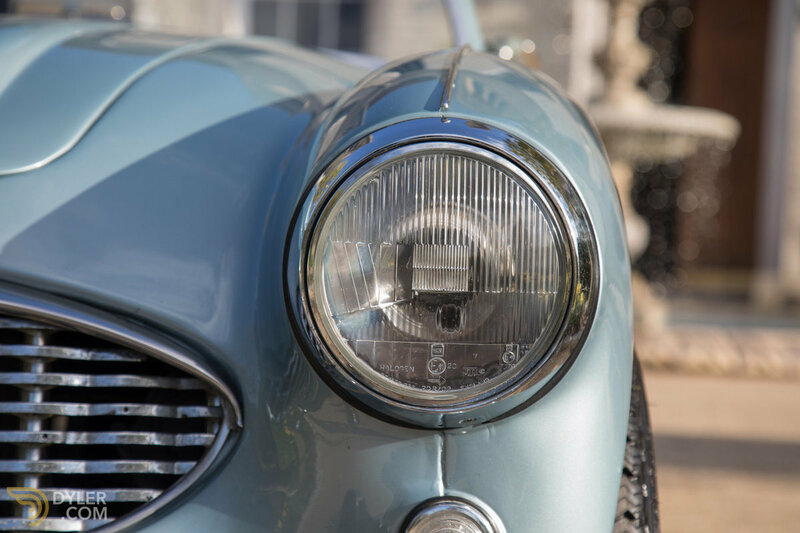 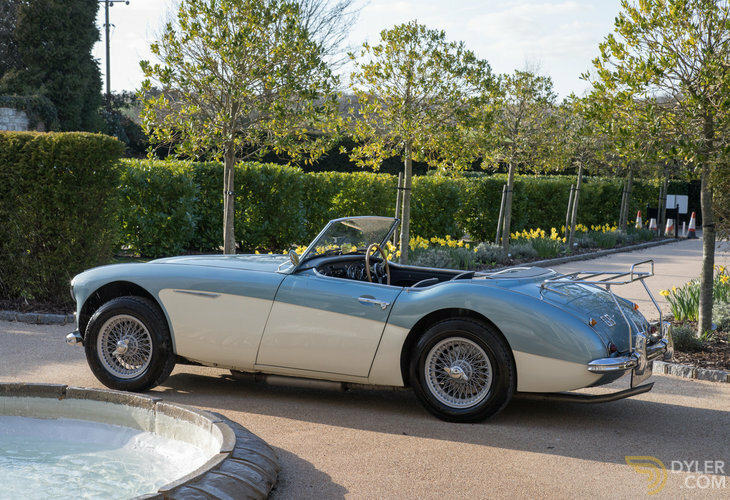 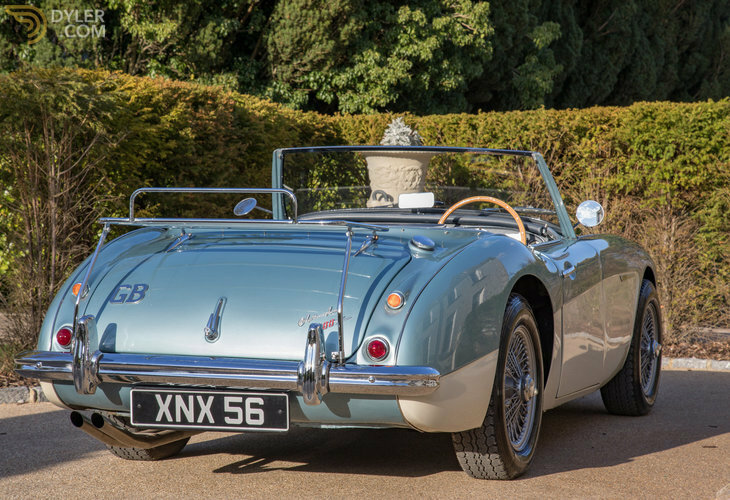 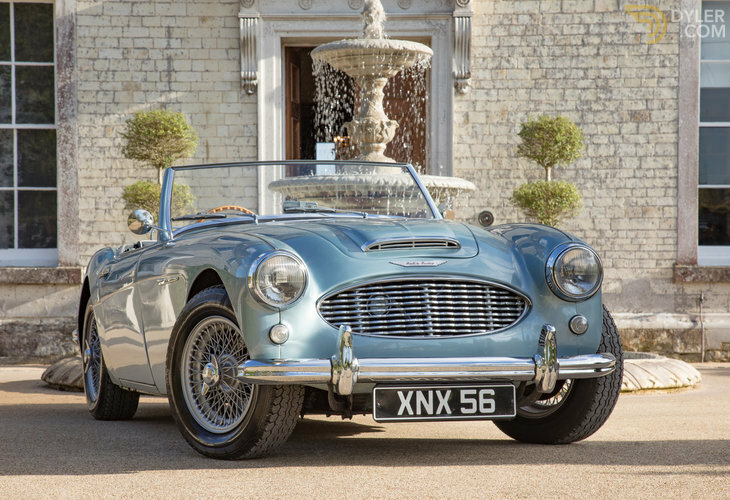 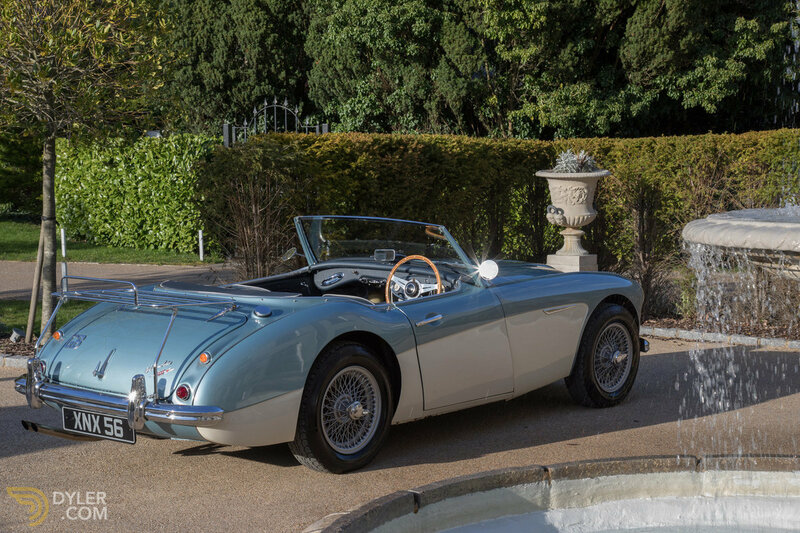 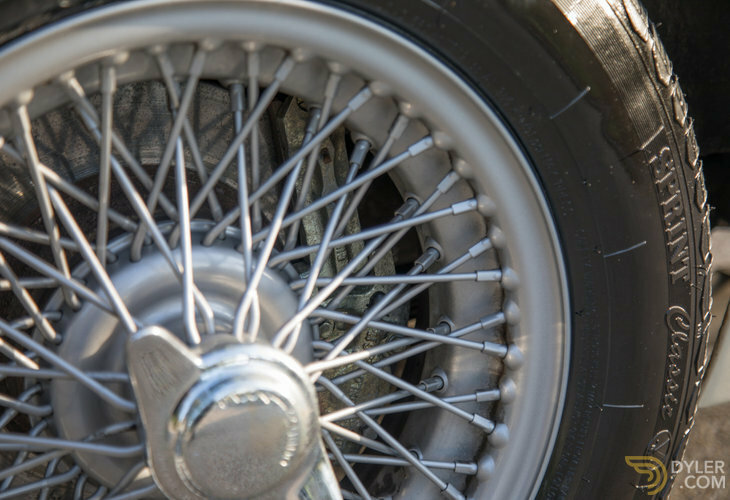 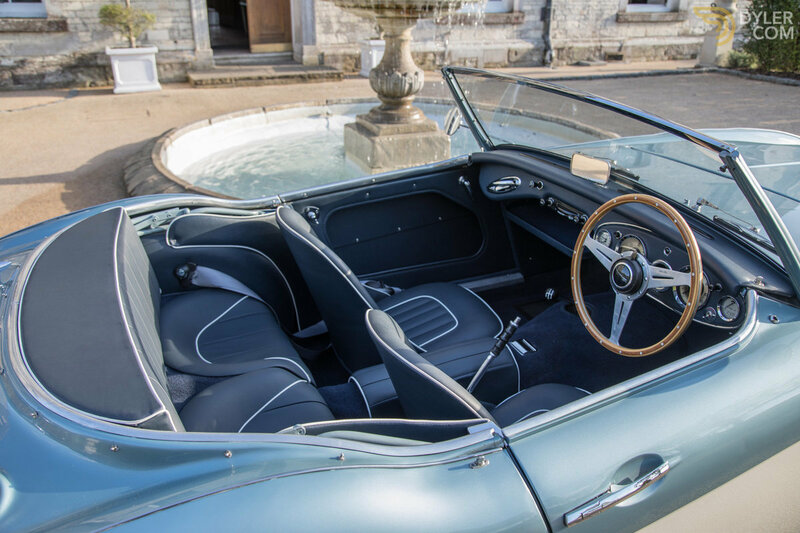 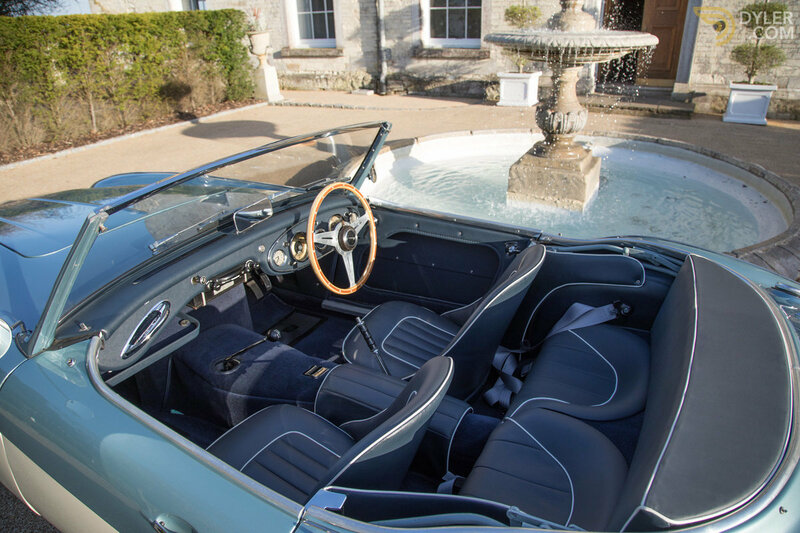 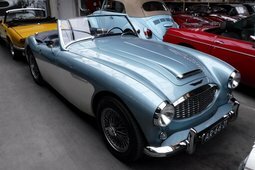 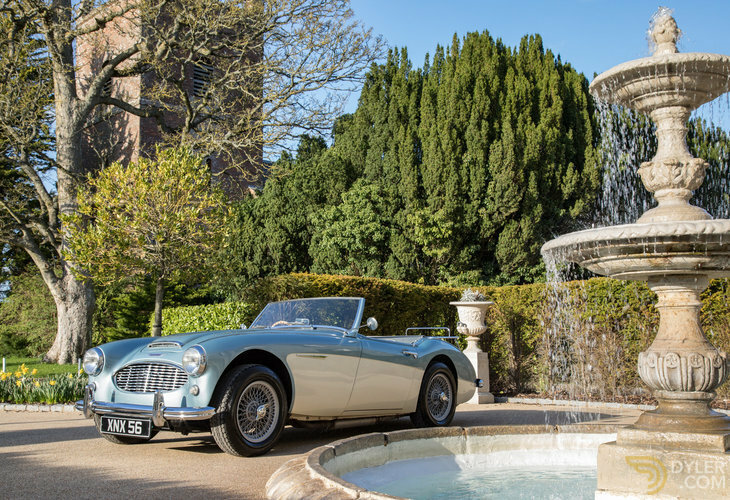 This particular car’s provenance is much documented, with the car having been owned by Healey guru Bill Piggott, writer of the definitive Austin Healey originality books. 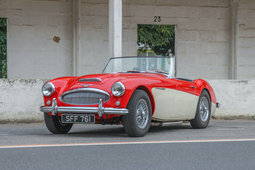 As such the car features widely through his book ‘Factory Original Austin Healey 100/6 and 3000’ and is the example car of an original 100/6S – recognised worldwide and verified further by Geoffrey Healey himself as well as further books (see Haynes Great Cars). 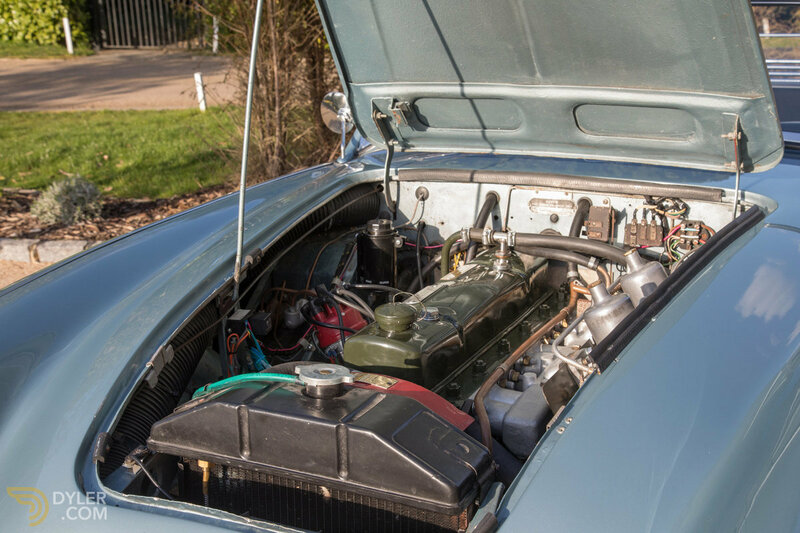 The car also features generally in Piggott’s book, over 25 pages, as a remarkable case study in originality, retaining many features which often perish or are lost during restoration and general use. 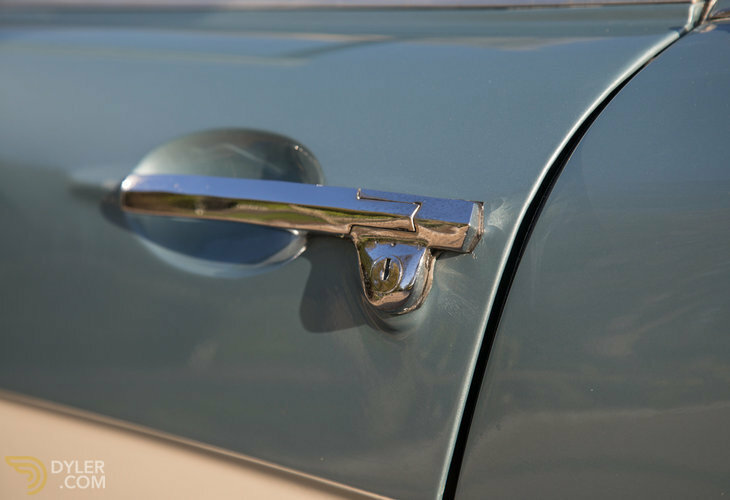 This includes the almost never seen original Bakelite handbrake lever, conical rear light reflectors, passenger side door lock, the unique late BN4 hood mechanism, the Longbridge bonnet crease and more. 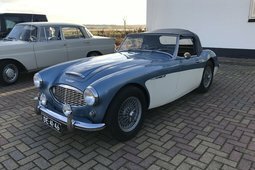 This 100/6S presents very nicely with £25,000 worth of improvement works undertaken in the last 5 years, including a full rebuild of the original engine by ourselves to our upgraded specification, a full interior re-trim, full refurbishment of the original brake system, new wheels in the correct aluminium silver and new tyres. 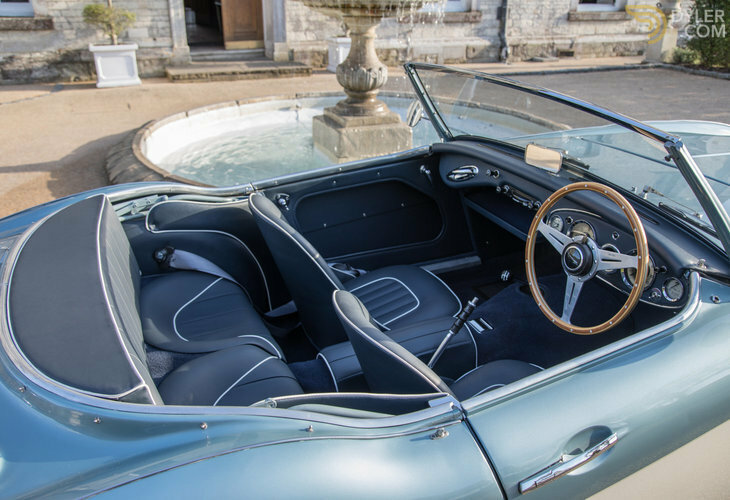 The car is supplied with copies of the books and further articles that it features in, a British Motor Heritage Certificate of authenticity, its original logbook, service and restoration documentation plus full wet-weather equipment including tonneau and sidescreens. 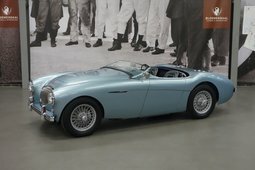 More Vehicles From "Rawles Motorsport Ltd"